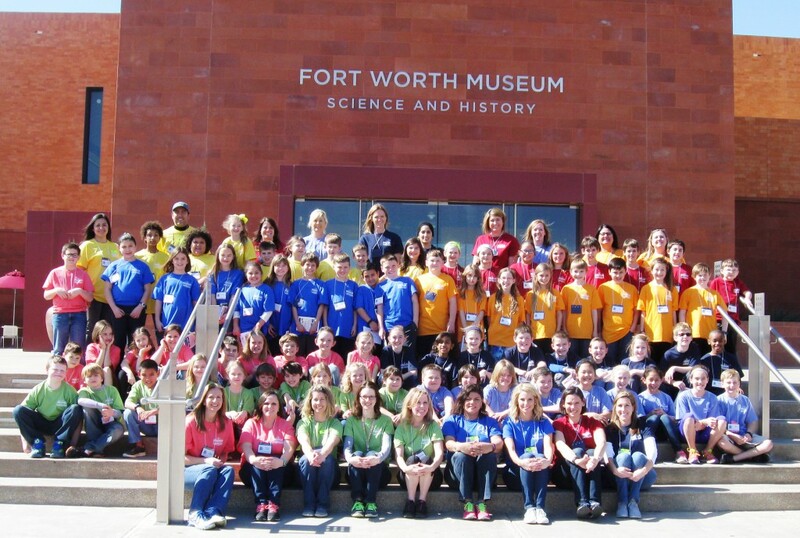 Green Valley Elementary fourth graders travel to Fort Worth on an Education in Action Discover Texas Field Trip | Birdville ISD Blog! Fourth graders from Birdville ISD’s Green Valley Elementary traveled to Fort Worth on an Education in Action Discover Texas Field Trip February 12, 2016, to experience what they are learning in fourth grade Texas History at the Fort Worth Stockyards and the Fort Worth Cultural District. During the charter bus ride to Fort Worth, students played Cowtown Bingo in preparation for their day. The students’ first stop was at the Fort Worth Stockyards National Historic District where they toured historic buildings, learned about the life and work of cowboys on the cattle drives, and saw the Fort Worth Herd of longhorns. Participants learned about legendary cowboys and compared today’s methods of transportation to wagons used in the 1800s at the Texas Cowboy Hall of Fame. Students learned about the importance of the Texas cattle industry at the Cattle Raisers Museum and about famous cowgirls and their contributions to Texas’ story at the National Cowgirl Museum and Hall of Fame. The day concluded in Grapevine with a 10-mile ride along the famous Chisholm Trail on a Grapevine Vintage Railroad steam train. In addition to Discover Texas Field Trips to Austin, Waco/Georgetown, Dallas, and Fort Worth, Education in Action also offers summer Lone Star Leadership Academy camps for outstanding 4th-8th graders. During the weeklong, overnight camps, participants experience significant Texas sites in Dallas/Fort Worth, Austin/San Antonio, or Houston/Galveston with Texas educators and a focus on leadership.